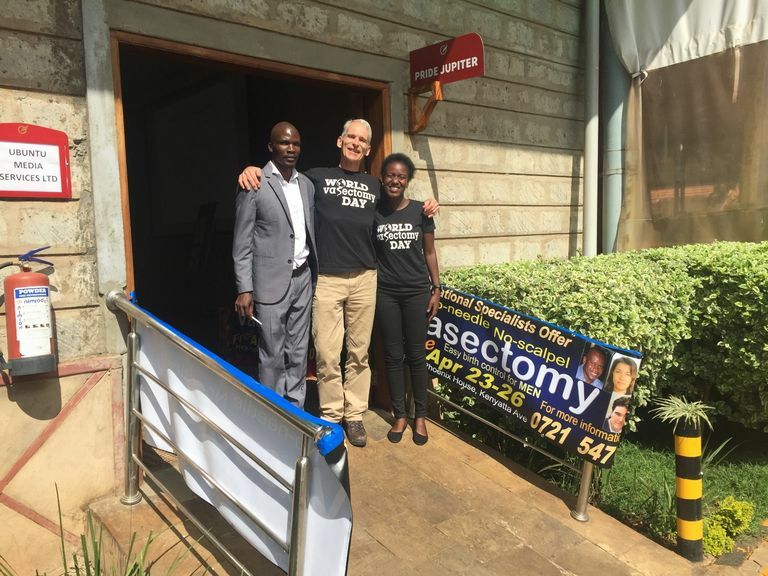 2018 April - 5th Kenya Mission | No-Scalpel Vasectomy International, Inc.
… World Vasectomy Day Co-Founder and Executive Producer Jonathan Stack, who joined the NSVI mission to reconnect with contacts made during WVD 2016 in Nairobi. 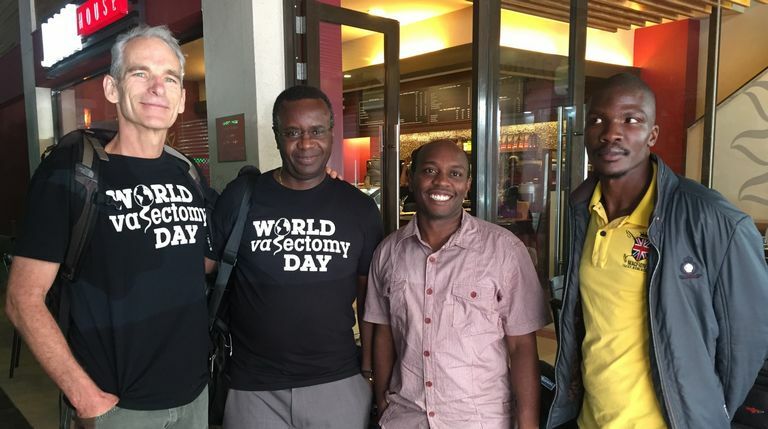 He then traveled on to Kigali, Rwanda, the site of the International Conference on Family Planning (Nov 12-15) and World Vasectomy Day 2018 (Nov 14). 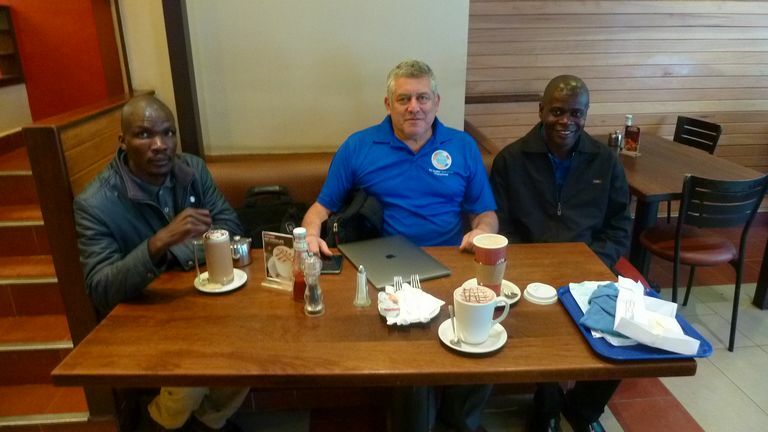 We arrived in Nairobi on Thursday, April 19, set-up of the Phoenix House venue with Dr. Ochieng and his Domestic Support Team, and over the next four days attended press conferences and media interviews. 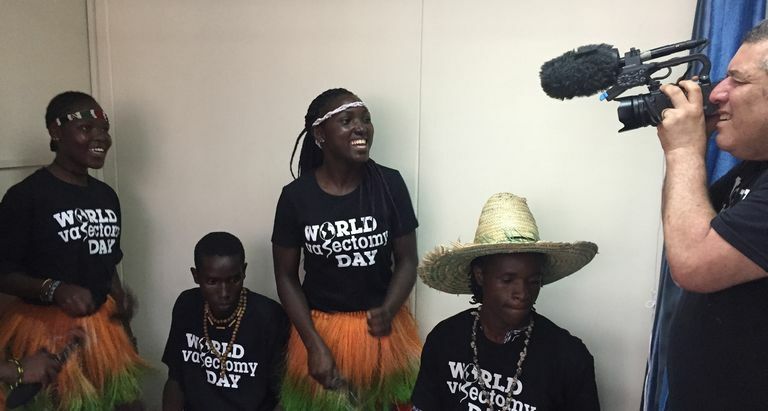 In 4 days (April 24-27), 69 vasectomies were performed, an unprecedented number in a country where many men believe that fertility is a measure of manliness. On our first morning, a press conference! What a way to get started! It was all arranged by Jonathan and his two right hands Sennah Akoi and Sheila Gabeya. 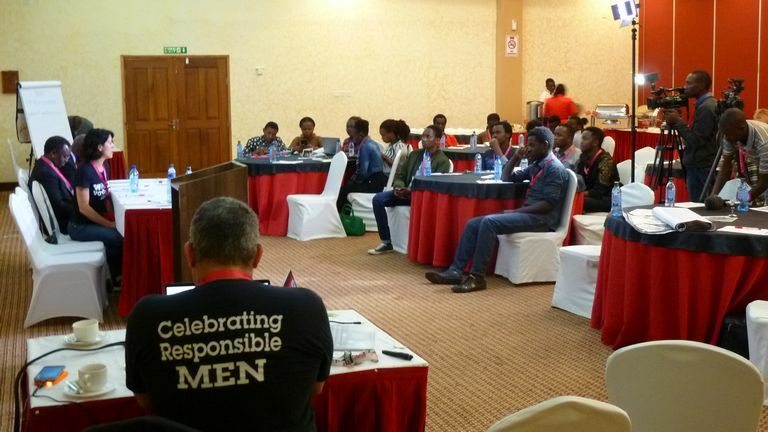 The venue was a conference center in Nairobi. 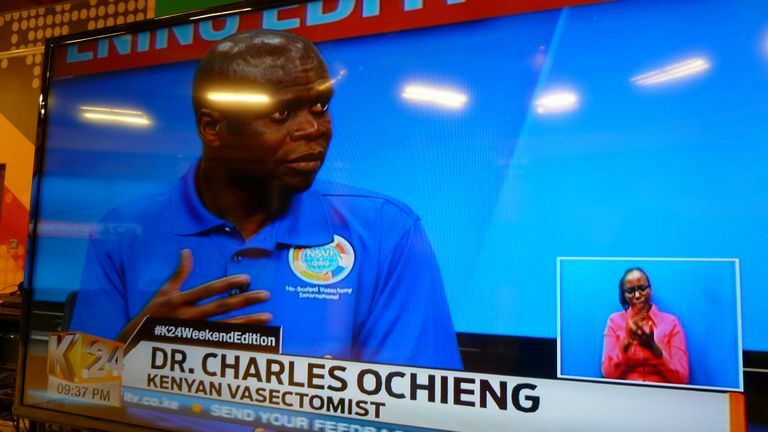 Here Dr. Charles Ochieng gives a keynote talk about the benefits of vasectomy. Dr. Stacy De-Lin fields questions from the journalists who comprised our audience. During a break, Dr. John Curington demonstrates the equipment used for vasectomy. 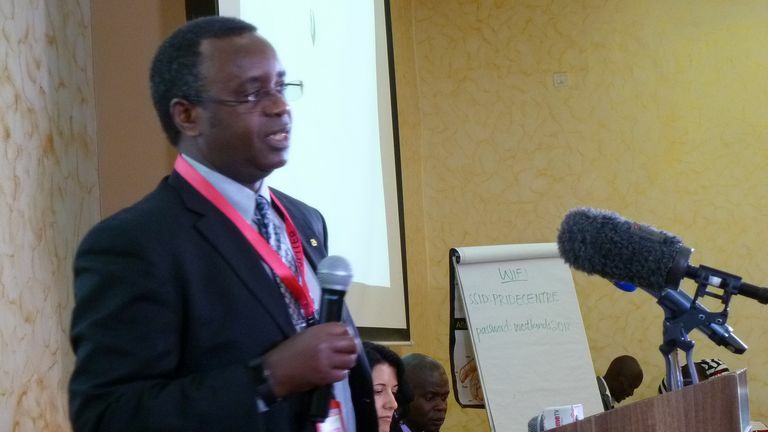 Dr. Boniface Sebikaly was our special guest, a specialist in reproductive medicine originally from Rwanda, and now in North Carolina. Dr. Curington poses with a reporter and her film crew after a recorded interview. 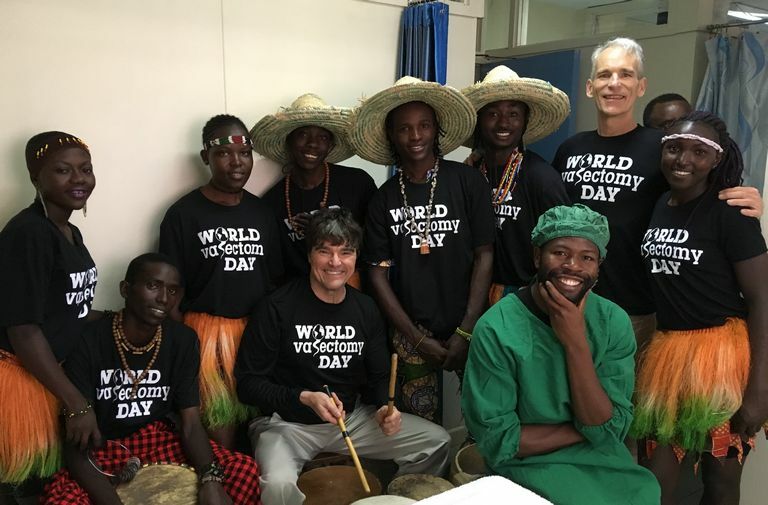 That afternoon, Jonathan prepared a musical video with a Kenyan band and singer/entertainer. It aired throughout much or East Africa. 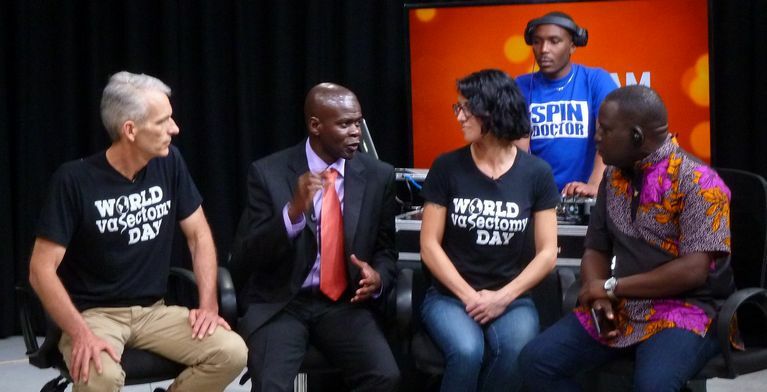 That evening, we went to the first of a series on radio/TV interviews on popular stations. Charles is always the most convincing member of our entourage. First thing next morning we were off to another TV station for a morning live interview. 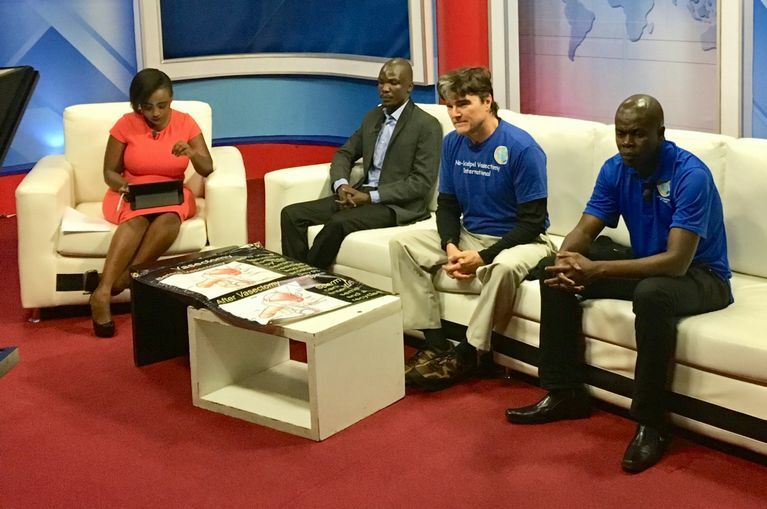 Our interviewer was very diplomatic and gracious, despite calls from viewers very opposed to male involvement in family planning. 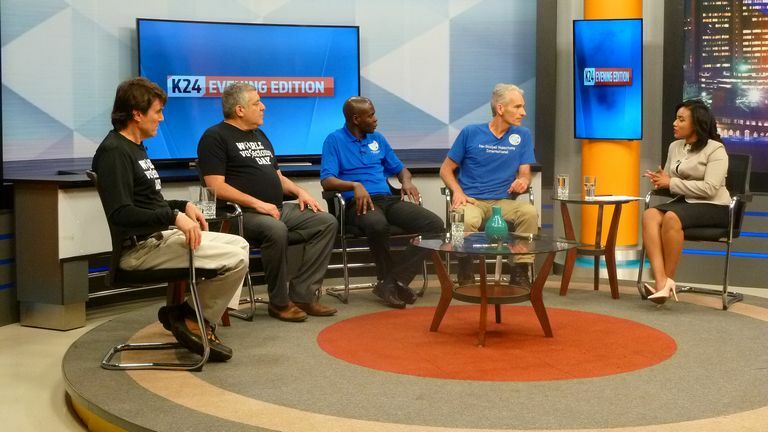 But it was a great opportunity to let more progressive thinkers among our weekend viewers know about the upcoming mission. 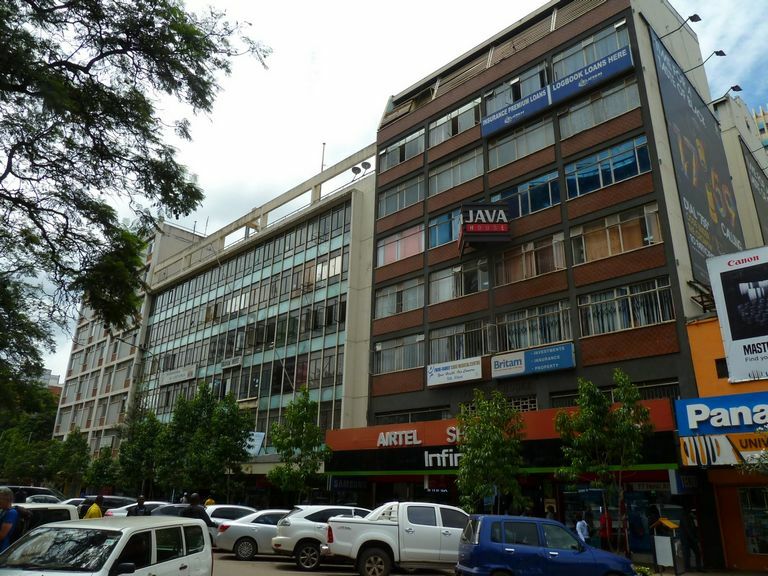 We then went to Kencom House in the Central Business District, our venue for providing free vasectomies. 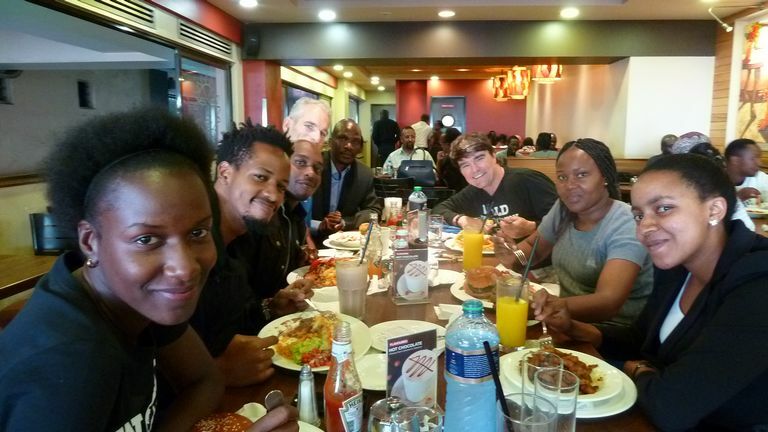 After arranging tables in our procedure rooms, we took the staff to lunch. 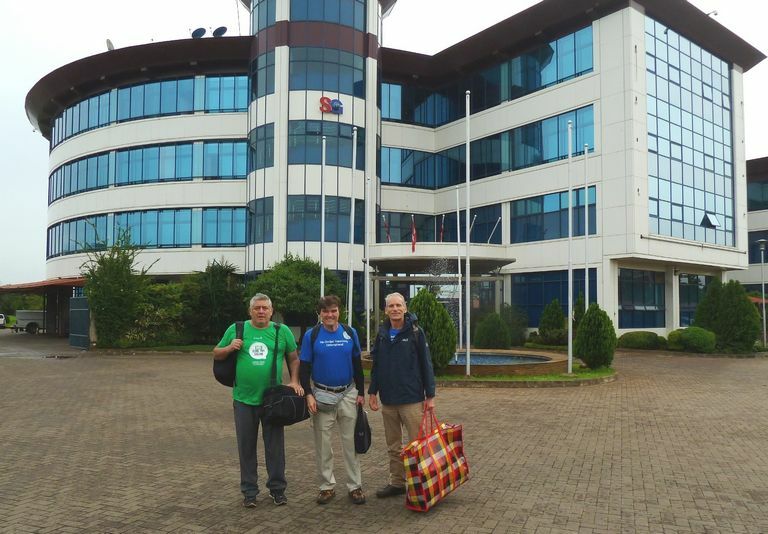 That Saturday evening, we were off to another TV interview, this time at one of the biggest networks in Kenya. 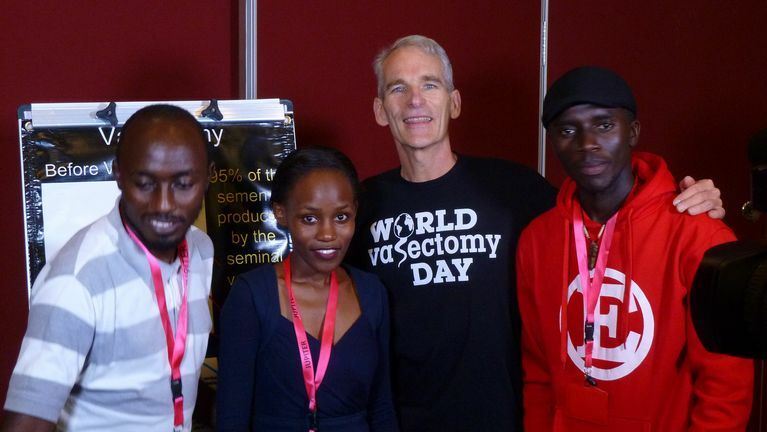 What an opportunity to demystify vasectomy on a grand scale. 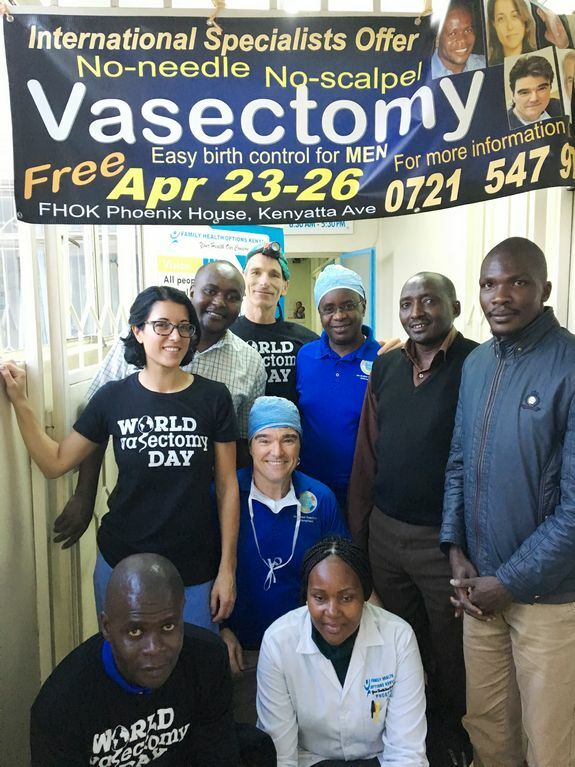 And to let the public know that NSVI remains in Kenya even after we leave, providing free vasectomies through our Domestic Team. 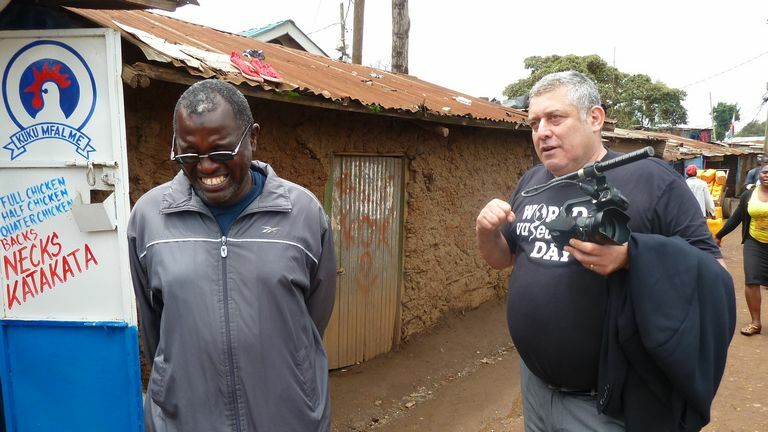 On Saturday evening, we called the Chief of the second largest slum in Africa. 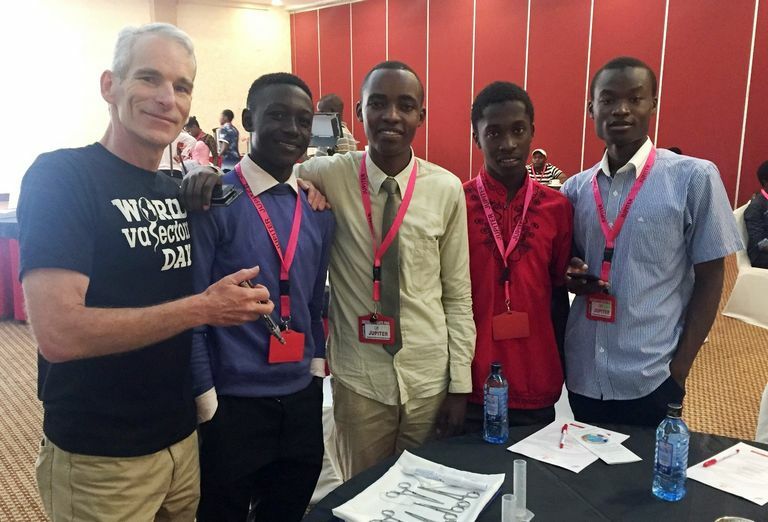 He agreed that on Sunday morning, for a fee or course, he would have 10 of the community leaders each bring 10 men to a presentation about vasectomy. His helpers let him down, but he led us through the community of mostly aluminum houses and mud streets. On Sunday morning, it was easy to find crowds … in the churches. 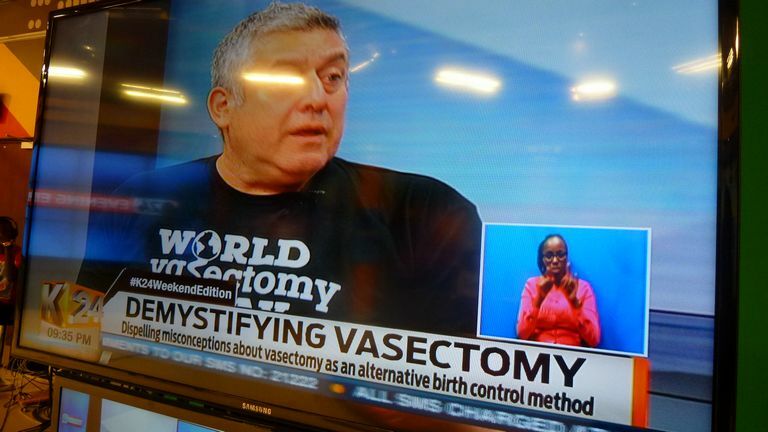 So that is where we made our pitch for vasectomy. Here is where Charles’s Swahili REALLY was essential. 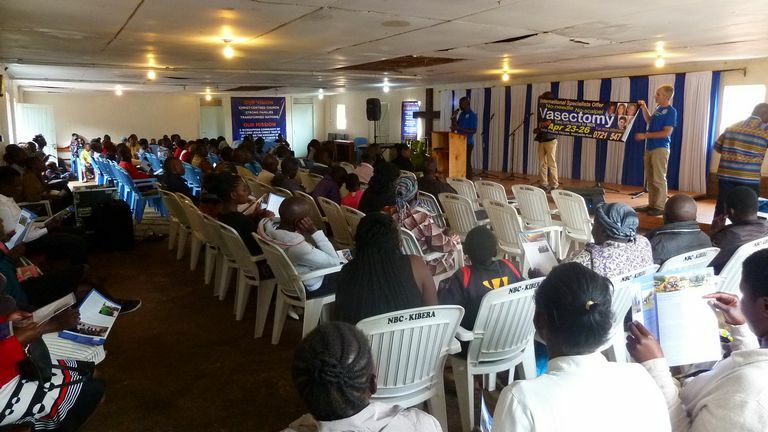 They may not have swarmed to vasectomy, but church leaders found us very entertaining. 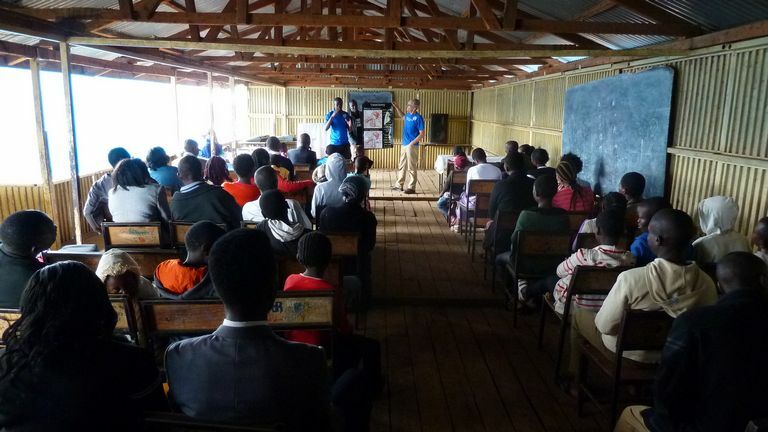 Between our distribution of brochures and our presentations, at least this community now knows about vasectomy. We had to re-negotiate the fee of the Chief, since he had not lived up to his promise. 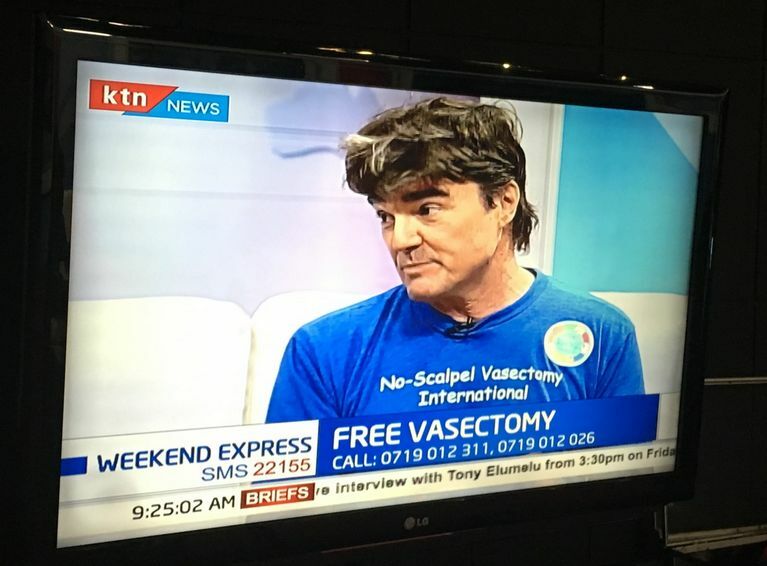 The father of 7, he was even offered a free vasectomy! He found that thought hilarious. 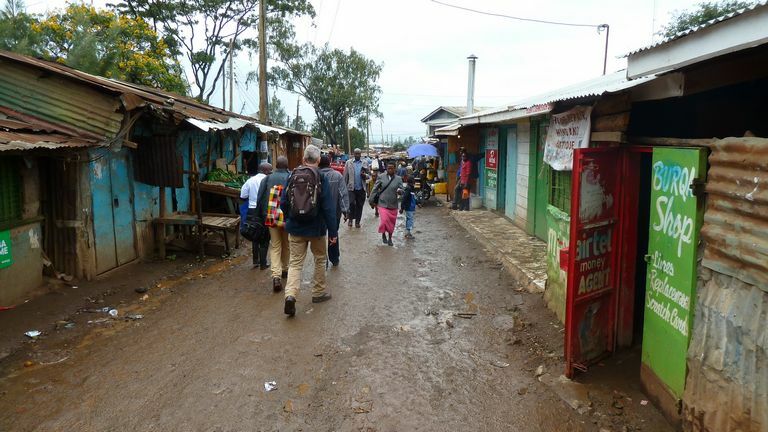 So we never had any patient come from the slum despite an offer of free transportation, but for the next four days, we kept busy with 69 patients who had heard about our mission through the media blitz arranged by Jonathan, Sennah, and Sheila. 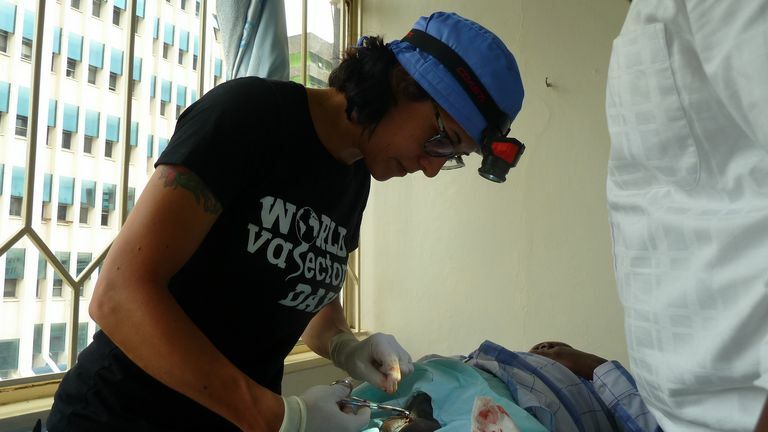 We even had time to train a physician’s assistant who turned out to have excellent hands and catch on VERY quickly. 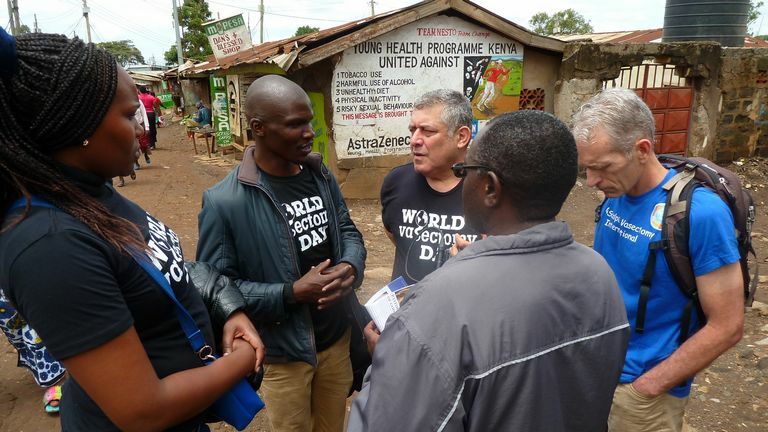 Despite invitations, no other Kenyan doctors came to learn. The staff was excellent and always ready for group photos. … as John, Boniface, Micah, Sennah, and I said our goodbyes while awaiting an Uber to take us to the airport and our long flight home.